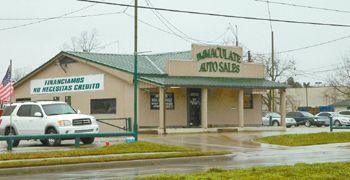 NORTHEAST – Houston Police are investigating a shooting that took the lives of three men at their place of business, Immaculate Auto Sales at 202 Little York near Airline Drive. The men were shot about 11:45 a.m. inside the offices of their used car lot. Dead at the scene were Jesse Contreras 51, and Tony Contreras 60, who were brothers. Also shot was Casey Contreras 22, Tony’s son, who died later after being transported to Ben Taub hospital in critical condition. All three men were shot in the head. Homicide officers Sgt. Brian Harris and Officer M. Waters II reported that the bodies were discovered by an employee on the floor of the office. A motive is not known, and police are looking at robbery or an unhappy customer as possibilities. The business handled repossessions and late payments, and sales.